HomeTechnologyWhat Is a ‘Shadow Ban,’ and Is Twitter Doing It to Republican Accounts? July 27, 2018 Paul Technology Comments Off on What Is a ‘Shadow Ban,’ and Is Twitter Doing It to Republican Accounts? The president’s tweet came a day after a widely circulated article published by Vice News said that Twitter was shadow banning “prominent Republicans.” But many in the tech world said the Vice story — which was shared by prominent conservatives on Twitter, including the House majority leader, Kevin McCarthy; James O’Keefe; and Donald Trump Jr. — was based on a misunderstanding of the concept of shadow banning that could make an already tense debate more acrimonious. So, what is going on here? What is shadow banning? Was Twitter actually doing it? Why is the president involved? We’ve got you covered. The benefit of this, from the perspective of an online community, is that if a user does not realize they have been shadow banned, then they are less likely to just open a new account and use that one to continue their unwanted behavior. Is Twitter shadow banning Republicans? Basically, you could still search for the accounts, but Twitter would not automatically suggest them. But that is not what shadow banning means — or meant before this week — and on Wednesday and Thursday, the internet engaged in a real-time debate over its definition. Kevin Collier, a tech writer at BuzzFeed News, marveled at the misuse of the phrase by both Vice News and the president. A spokesman for Vice did not respond to an email seeking comment on Thursday. The Republicans mentioned by Vice News included Ronna McDaniel, the chairwoman of the Republican Party; Representatives Mark Meadows, Jim Jordan and Matt Gaetz; and Andrew Surabian, a spokesman for Donald Trump Jr., who does not hold a position within the party. After the story was published, many Republicans said they felt vindicated by its claims. But all of these people’s Twitter accounts, and new tweets they write, are still visible to the public. When you type their names into the search box and hit “return,” Twitter includes them in the results. When you type their names into Google, their Twitter accounts and their three most recent tweets are often the top search result. In short, their Twitter accounts remain highly visible. That is the evergreen question of life on the internet. It is true that the names of some Republican officials are not auto-generating in Twitter’s drop-down search bar. Twitter has said it is aware of this situation and it trying to fix it. What does that mean? Well, as even the most casual Twitter user may be aware, the site has a problem with people on it saying and doing terrible things, from Russian election hackers to the former Ku Klux Klan leader David Duke. Tech companies like Facebook and Twitter have wrestled mightily in recent years with how to combat the impact trolls have on the experience of other users, and what to do when their behavior either begins in the real world (in the case of Russian hackers) or spills over into it (for example, by causing mob violence in India). In May, the company said in a blog post that it would start using “policies, human review processes, and machine learning” to monitor accounts. The results of that review would “now be considered in how we organize and present content in communal areas like conversation and search,” it said. 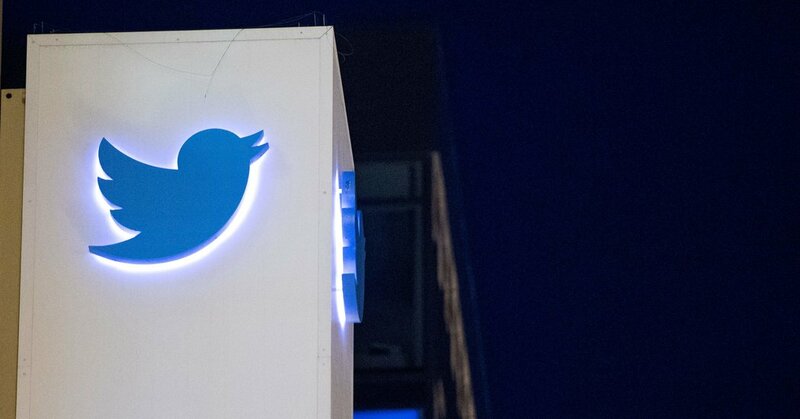 But on Wednesday, Twitter’s head of product, Kayvon Beykpour‏, defended the company’s efforts.